Rather than seeing minute by minute updates from casual acquaintances I’m actually getting to see a lot more ukulele content. Who knew Facebook could be so useful? This is Barry Maz from Got a Ukulele’s group. People talk about their ukuleles and post pics. There are no promos and no people/brands pushing their own products which makes it a really nice experience. There’s a great sub group too for those that are based in the UK that want to sell their ukuleles. Unsurprisingly the Classical Ukulele Facebook group is for exactly that. In this group you’ll find classical arrangements and performances. It’s also a great place if you want any technical help or have any questions that relate to playing classical ukulele. recently I’ve seen them post some interesting challenges too which is a great way to learn with others. The Facebook group for Ukulele Underground will let you post performances and ask general ukulele related questions. It’s got a pretty big membership as it’s connected to their hugely popular website (currently around 16,000) so there’s always someone around to talk ukulele with. This is the first Facebook ukulele group that I ever joined. It came in pretty handy when I was doing my 30 days of blues challenge. Here you’ll find performances, tab, questions and pretty much everything you can think of that is blues related. Well worth a look if you’re a blues man (or gal). This is another big group, similar in size to Ukulele Underground’s Facebook group. Again due to its size, there’s always someone around to answer any questions you may have and it’s a fairly busy group. Beyond this it’s a fairly general group that doesn’t worry about specifics, so whether you’re a soprano, concert, tenor or baritone player you should find something here. So there you have it. Facebook can prove to be a pretty handy place for ukulele players. While you’re busy joining groups it’s worth giving the Ukulele Go Facebook page a follow. I try and post interesting ukulele content twice a day so it’s not too intrusive on your timeline. I’m also not a FB fan, but recently have seen the light regarding groups. 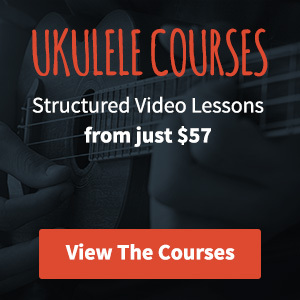 I joined “Ukulele Lessons And Tutorials” lately. Big group, decent discussion. One I’d add to your list, for sure. Thanks Brad, I’m going to check that one out. It’s amazing how useful groups can be, I’ve been pleasantly surprised!